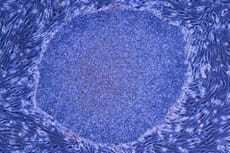 The results of a Nature study may quell long-held concerns over the safety of transplanted induced pluripotent stem (iPS) cells. In a 2011 investigation, transplanted autologous iPS cells instigated an immune response in mice, a roadblock for the development of iPS cell therapies. However, Masumi Abe and colleagues demonstrated no difference in immune response between mice injected with undifferentiated iPS cells or embryonic stem (ES) cells or, significantly, skin or bone-marrow cells derived from iPS or ES cells. Nevertheless, the study may be limited by its methods in generating the differentiated bone-marrow cells from chimeric embryos, a technique that would not apply to a clinical setting.